Over the years, your family’s size and requirements will shift,which can create the need to remodel your home. As your children grow up, you may no longer need a nursery/playroom, and may want a media room or a music room with sound proof quality and good acoustics. As you personally progress through life, you may want to upgrade your home to make it more attractive for entertaining guests or add convenience or luxury features you have always wanted. The State of New Mexico’s contractor licensing website makes it easy to check if a contractor your hire to remodel your home is licensed and in good standing. You can look-up a contractor here www.public.psiexams.com/search.jsp Additionally, the state suggests homeowners review the contractor’s references and obtain proof of current liability and worker’s compensation insurance. This can be obtained from the contractor on what is called a Certificate of Insurance which the contractor should be able to have faxed or emailed to you within hours from their insurance company with one simple phone call. 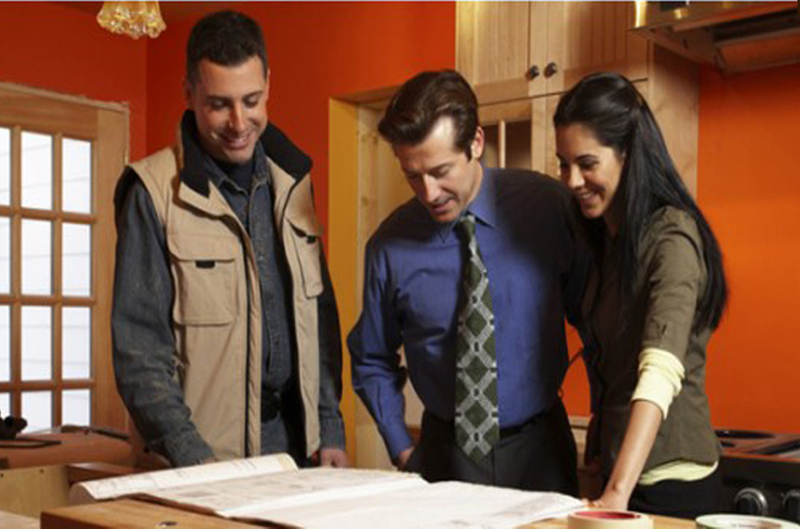 When contemplating a remodeling project, it is necessary to plan ahead to make sure the process goes smoothly. Home remodeling takes plenty of time, effort, costs and coordination between the parties involved with the project. Below are five steps that will help you ensure you have the correct planning in place for a smooth home remodeling project. When planning the design for your remodeling changes you should consider the present needs as well as future needs. If you are planning for children to move out soon, then consider the current room needs as well as what you plan to do with those rooms when they move out. Conversely if you are planning to have children, consider the layout, décor and safety features of the planned changes. Choosing designs that are kid-friendly and easy to clean, will save more time than you think watching your kids to make sure they don’t hurt themselves on a fireplace mantel or sharp corner that you thought looked really cool. We also can’t overstress the issue of cleaning, as parent’s know kids tend to make messes everywhere, so choosing flooring and other features that make the home easier to clean can truly make those everyday cleanups a lot easier and quicker. Resale value of a home should also be considered unless you plan to stay in your home forever, sometimes conventional designs and features are better for resale than eclectic designer looks, etc. Everyone would like to live in a custom “palace” that features the latest in design and highest quality equipment with a layout that is optimal fort their family. Of course, layout changes can make a project much more expensive and sometimes certain existing features can be retained to control costs in relation to your budget. A good remodeling contractor can do more than just do the work, they can help you design and plan the remodel to make it cost-effective for your budget. By taking these cost-consdierations into mind you can accomplish the basic remodeling goals without the burden of heavy debt or undue expense. Before you talk to your contractor about your plans for a remodel design, it is a great idea to draw them up on paper or use a 3-D drafting program (if you are that talented!) to help give form to your ideas. This will both help you brainstorm and decide if the design is right for you, as well as help you share your vision with your contractor. Before you reach out to a contractor, it is also a good idea to talk to people who have recently remodeled their homes. Doing so will give you an idea of local contractors you should consider, as well as make you aware of issues and timeframes they experienced with their project. By doing so, you may avoid making some mistakes or gain advantages in the process you would not have been aware of otherwise. Remodeling can involve a lot of paperwork if any structural changes to your home are planned. For example, adding an addition to your home will certainly require a building permit and stamped set of construction drawings done by an architect or engineer. Additions may also require a zoning approval, which is an extra step that can add time to the permitting process. It is important on such a project that the contractor is experienced in dealing with permitting and the required inspections, etc. A good contractor can help you obtain any needed drawings and understands the local regulations related to home remodeling projects. Since home remodeling takes a significant investment of your time and money, and since the results will be seen in your home for years to come it is important to choose the right contractor. These projects are most efficiently approached by planning ahead and then seeking out a reputable contractor that you can bring your pre-planned ideas to. Then the contractor can easily help you fine tune the design in a cost-effective manner, as well as obtain any needed permits or approvals. Taking these steps will ensure that the project is completed on time and at the lowest possible cost and highest possible quality with a design that will be most appropriate for your family. Should you Invest in that Leaking Shower/Tub Now?